You are currently browsing the Philip Carter blog archives for May, 2011. 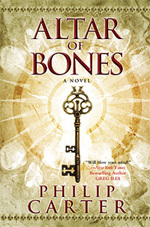 What is the truth behind the scenes depicted in the Altar of Bones and what is fiction? Check this page for weekly glimpses into the real story.